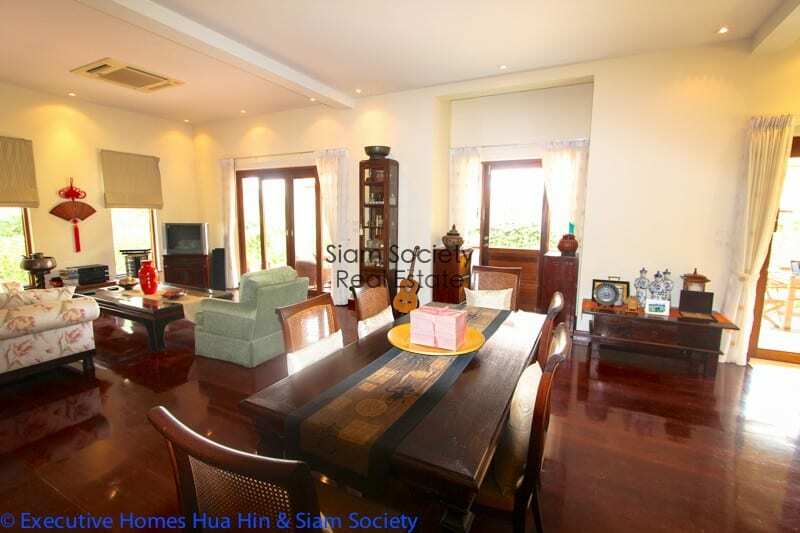 This is a luxury Bali-style home for sale in central Hua Hin. 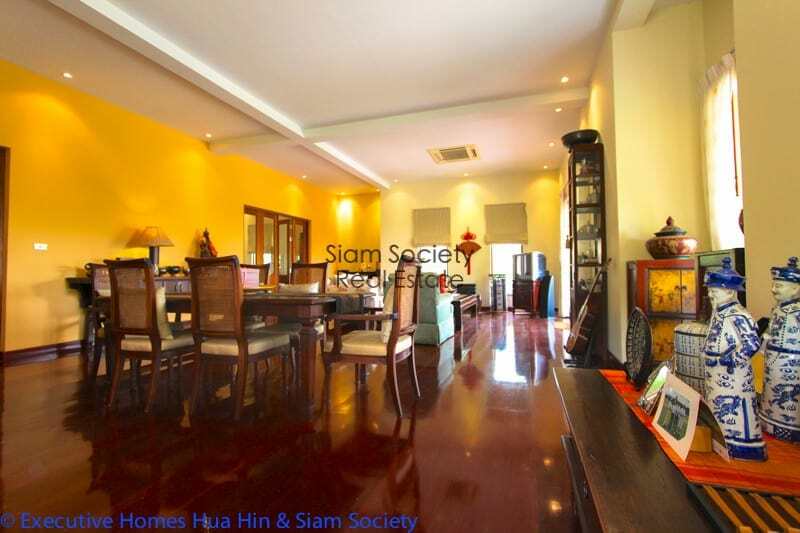 The location of this house is only within 5 minutes of Market Village shopping centre, the trendy Kao Takieb beachs, and within walking distance to a nearby farmer’s market. The home is built to a very high-quality, with over-spec hardwood floors, high ceilings, and a custom designed gourmet kitchen. 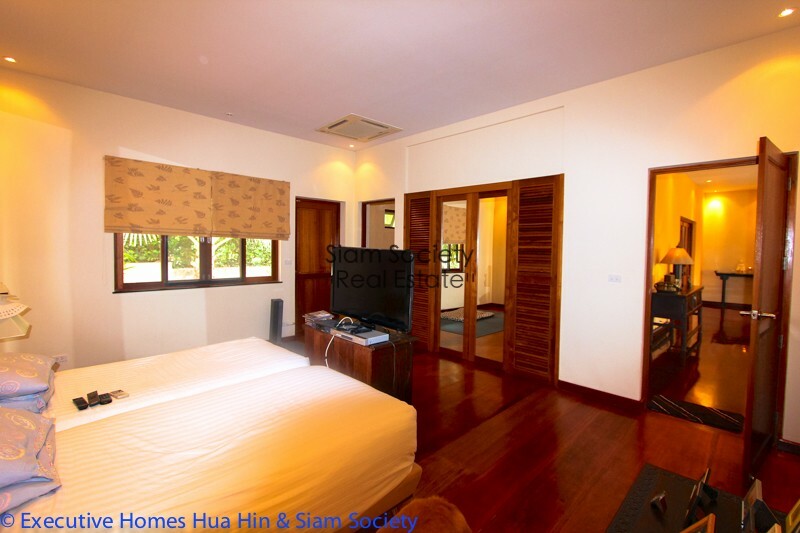 There is ample storage space and lots of extra bedrooms for guests or a large family. 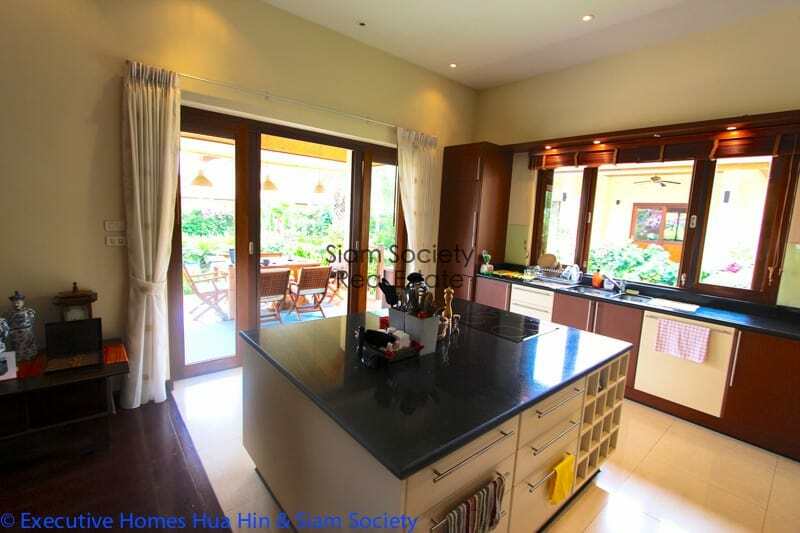 This is a 5 bedroom, 5 bathroom stunning examplof of a modern, Bali-style, private pool villa. 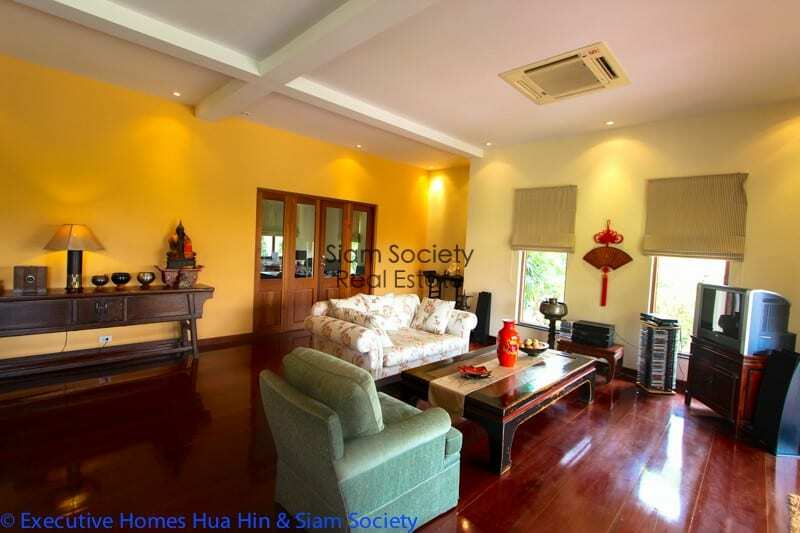 The house sits on a large plot of over 2,000 sq meters overlooking a gorgeous pool and mature, lush gardens. Off to the right there is a beautiful view of the local mountains. 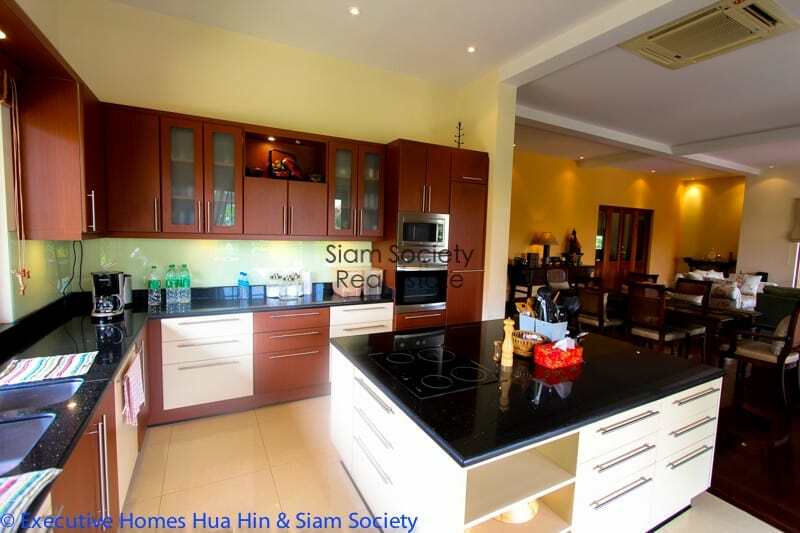 The villa boasts a top-end gourmet kitchen with beautiful counter tops and quality appliances; a large courtyard with manicured gardens and large open-plan living room and dining rooms. 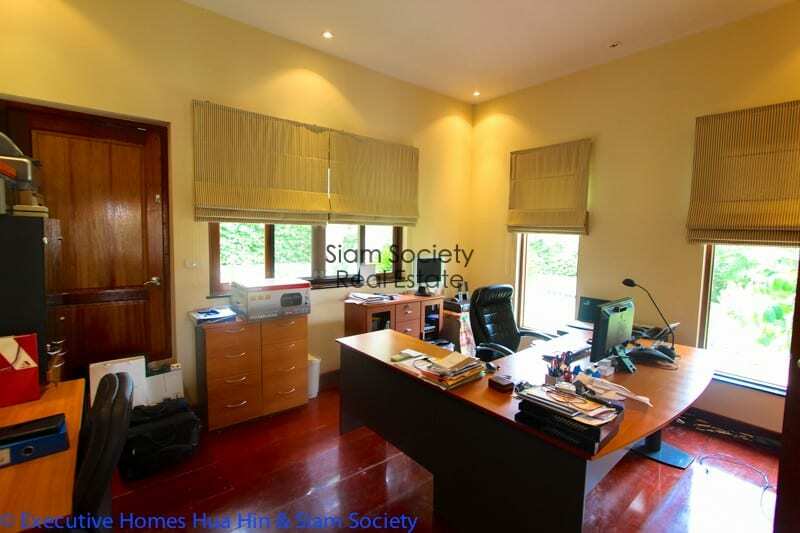 The house is sold fully furnished with the fixtures and furniture totaling a value of more than 2 million baht. Relax outside on your covered terrace during breakfast with great views of the pool and lush garden spaces. The master bedroom is over-sized with an exquisite en suite bathroom, complete with heavenly rain shower, and large soaking tub. There is lots of extra storage throughout the house. The main terrace is always kept cool by the constant mountain breezes and one can relax all evening on the long, covered balcony with total privacy from the neighbors. There are 2 large bedrooms in the main house (all en suite bathrooms – one bedroom is currently used as an office) and a separate guesthouse with 2 large bedrooms (en suite) and a private kitchenette for visiting guests. 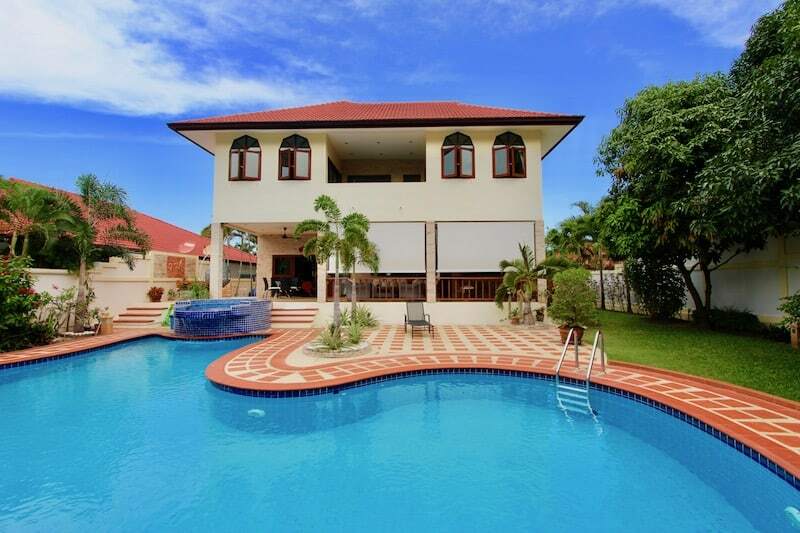 The villa also includes a third additional guest house with a maid’s kitchen, another en suite bedroom (5 total bedrooms) , a large swimming pool (14m), two covered double car garages (enough space for 4 cars), and a utility room/office. The house is finished to a craftman’s standard with teak wood finishes throughout and large plank teak wood floors in the main house. 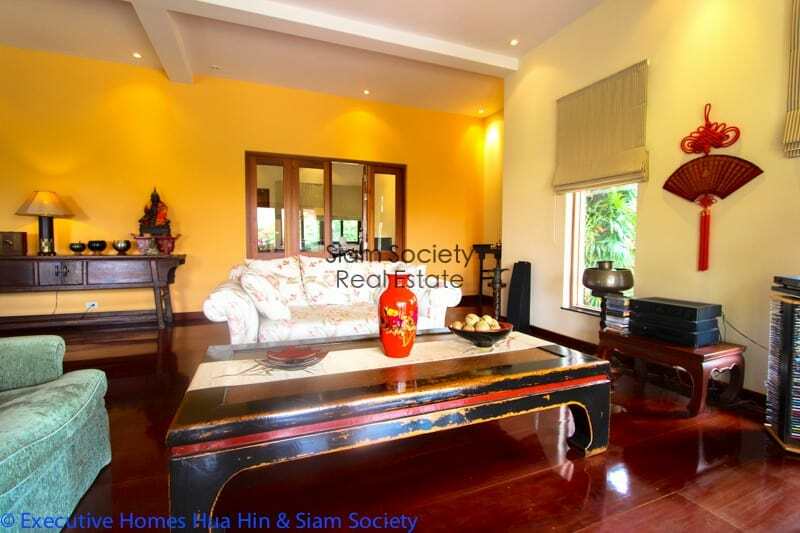 The plot is beautifully maintained with a mature gardens, nice trees, and grassy lawn areas. 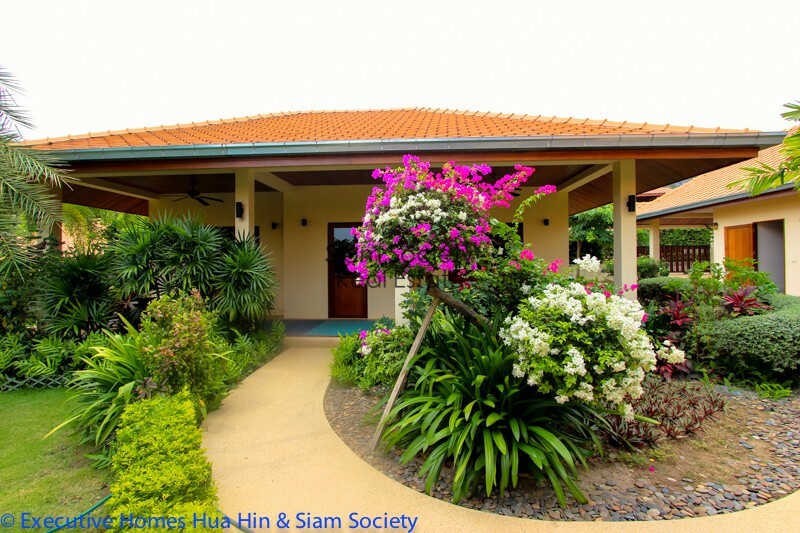 Situated less than 1 kilometer from the beach and near Hua Hin town center, one can take advantage of the proximity to many facilities close by, like the Banyan golf course or trendy Kao Takieb beach area. The location of the development is private, secure and quiet, but still close to 5 star resorts, restaurants and bars, as well as close proximity to large grocery stores, fresh markets and all necessities. 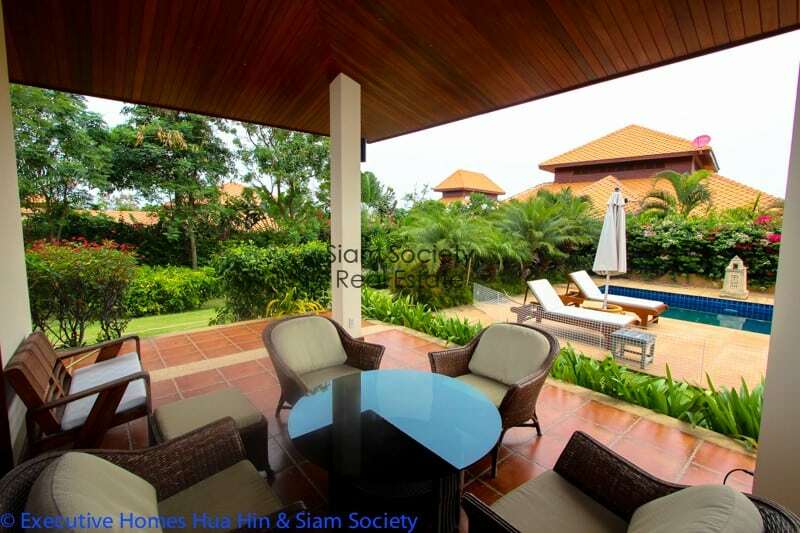 This is a must see villa!